In order to contemplate all these questions I took a morning off from the conference to wander the areas of west Belfast that feature some of the many peace walls that litter the city. I walked down from the Shankill Road (unionist) to the Falls Road (republican), along Cupar Way – the biggest peace wall in Belfast. It is imposing. The wall itself is heightened by a fence on top, making it double or triple the size of a ‘normal’ wall; keeping the neighbourhoods on either sides separate and divided. The wall is covered in murals and graffiti. The neighbourhoods surrounding the wall felt poor and economically depressed. Vast abandoned lots had been let over to wild grasses (sometimes these were the result of forced removals and demolition). Random graffiti was sprayed over the murals. There was none of the new construction and building that was on display in the city centre and docklands. There was hardly anyone about and on several occasions I suddenly wondered if walking along this wall was the best idea (other tourists hopped in and out of taxis). The main Shankill and Falls roads were full of people, walking purposively towards their Thursday morning destination, but the routes between them were eerily silent except for the tourists and occasional magpie. The murals on the peace walls themselves are fascinating. There are many signatures of visitors on the artworks (and notices imploring people to only write on the white, blank spaces – all obviously ignored). Some murals were clearly political but others I struggled to understand the meanings of. 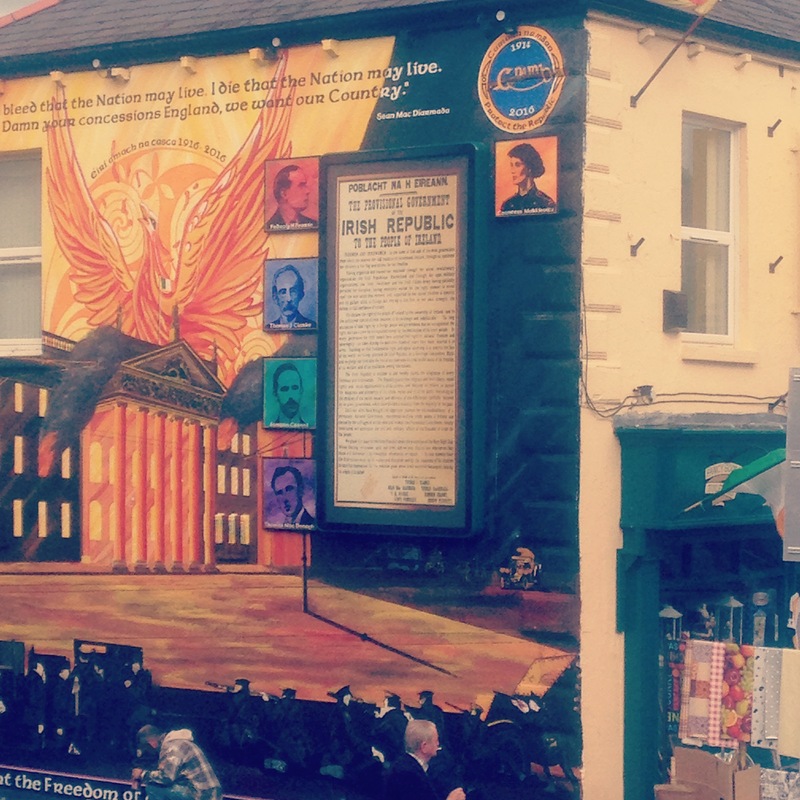 Along the sides of buildings on the Falls and Shankill roads are paramilitary murals – dedications to those who fought in the conflict or lost their lives in protest. It is fascinating to contemplate living with this visual reminder of history. Does one not notice them after a while? Or does the continued presence of these murals fuel bitter memories? Does it begin conversations? I finished my walk along the International Wall, which features various activists from around the world.